They say everybody has a twin. 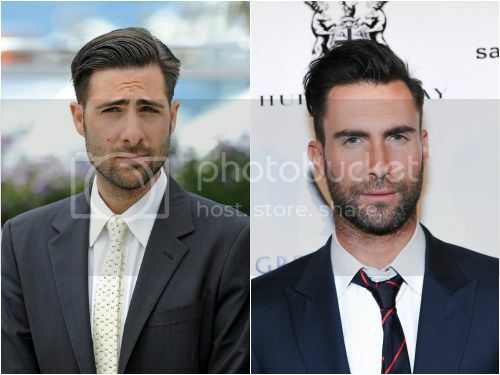 Do you think these celebs look alike? Nina/Victoria and Leighton/Minka are dead ringers for each other! And Tom/Logan...be still my beating heart. So much gorgeousness. These are so good! Especially Isla and Amy! I have always joked that Will was the actual drummer for RHCP. 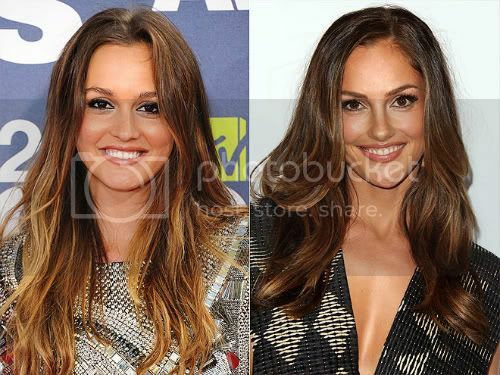 I always get Leighton and Minka mixed up and for weeks thought that Victoria and Nina were the same person. I ALWAYS get Javier and Jeffery Dean mixed up. I am a bit better now since I'm obsessed with Supernatural and JD plays their dad (and weeds he plays the dad too). Ok if you told me that Tom and Logan were the same dude, I would totally believe you... WOW! Same with Roselyn and Nicole. I've been told I look like a few people at different points in my life... one I liked was Courtney Cox from years ago... one I hated.. Heidi Fleice I mean, WTF? No wonder I can't keep some of these celebs straight. 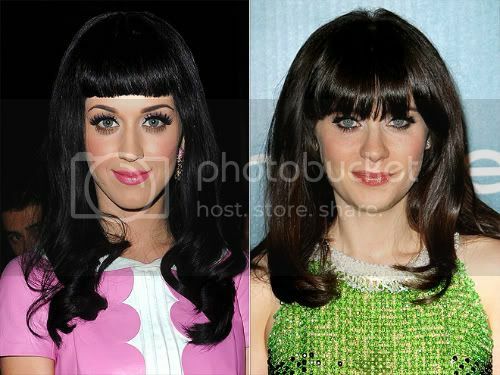 Because they are identical twins! You didn't do the one I think of first - Elizabeth Banks and Chelsea Handler. I used to be called Half-Speed for Sandra Bullock. It's just because we have dark brown hair and upturned noses, ha. I got Kate Beckinsale once and LOVED that one! Love this! I've noticed most of these as well. 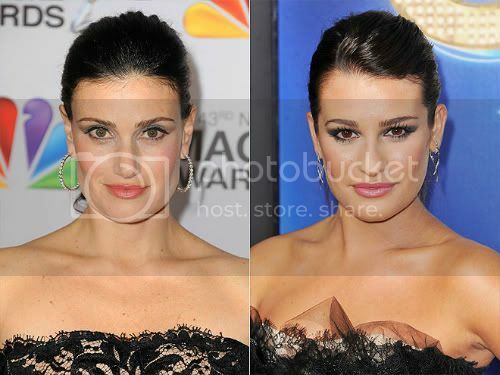 Not sure if you're a fan of Glee, but Idina Menzel played Lea Michele's mom in a few episodes. 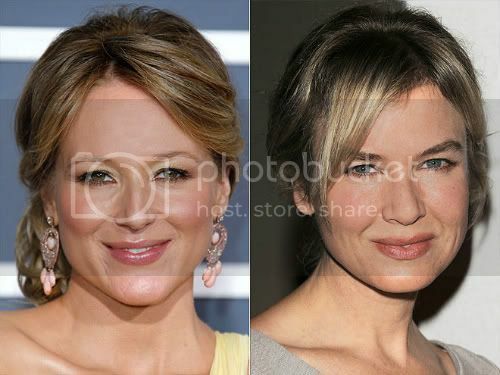 I remember thinking, "Wow, they really DO look alike!" Wow! I admit, I have often mistaken one for the other! The resemblance is uncanny. 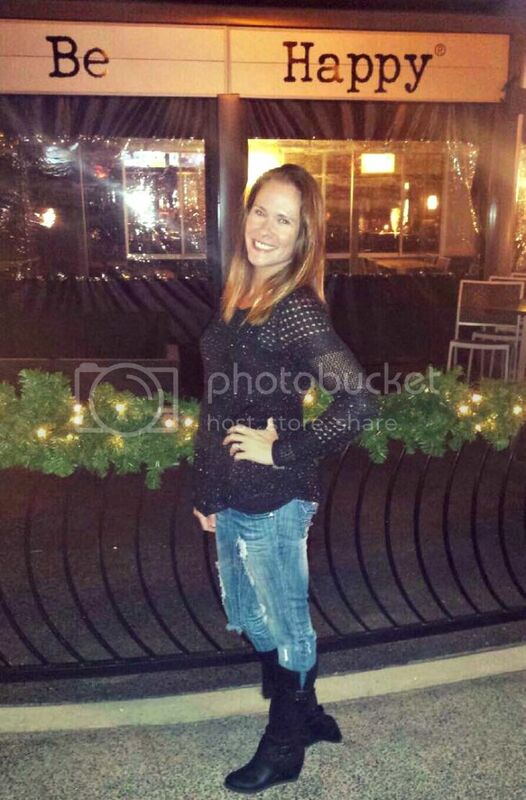 Holy crap - great post! 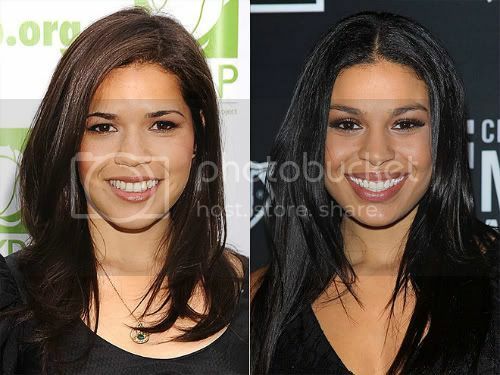 They all totally DO look like...especially Nina/Victoria! Whoa! Before looking at their names I couldn't tell a few of these apart! Margot Robbie really does look like Jamie Pressly and I never realized it before (but way prettier somehow). 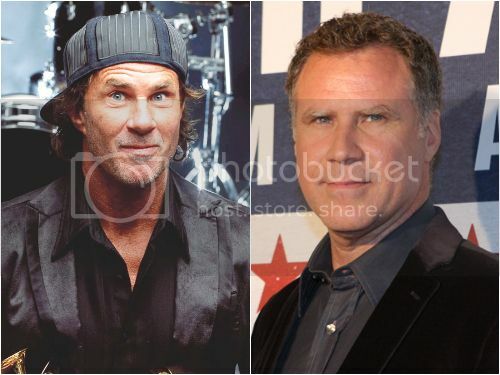 I knew who Chad Smith was before of Will Ferrell so when he came out on SNL in the '90s I was like, the drummer from the Chili Peppers is really funny as this cheerleader! Hahaha! I read something about Logan Marshall-Green the other day (I'd never heard of him before. I think I assumed I was always seeing Tom Hardy!) and he has an identical twin brother! 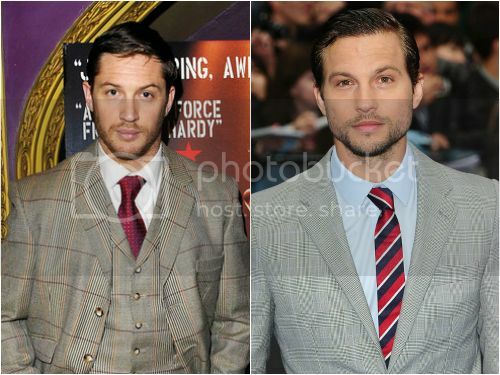 THREE TOM HARDYS!